I just can’t do an “Unselfie”. I’m not that kind of dog to shamelessly promote the fact that I am so giving. But really, I am like the most giving dog ever. I protect the girl from crazy blood sugars. I give her snuggles to make her feel better when her type 1 diabetes is being a pain. (And that’s a lot. T1D is a jerk!) I am always pleasant to look at. That’s giving, right? Whatever. I know that last one sounded shallow…but the first two are super important. So what’s the point of all this? My point is, if you want to participate in #givingtuesday please consider Early Alert Canines. They do such good work, and a with a small budget, your donation can really make a difference. A huge difference! Imagine knowing that you helped a little kid like the girl get a dog like me. (Well, no dog is as good as me, right? But the folks at EAC will do their best with what they have. I joke!) not really. Anyways. PS: aren’t the girl’s pants the worst? Cats. Pft. 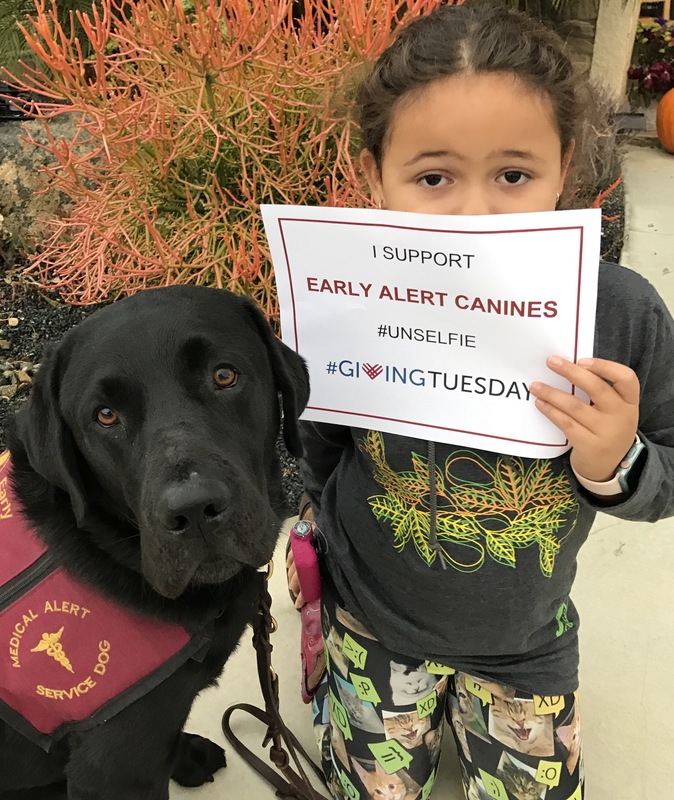 This entry was posted in BG Alerting, Family and tagged black lab, diabetic alert dog, EAC, early alert canines, givingtuesday, labs, type 1 diabetes. Bookmark the permalink.